Dude legally changed his name from Lion King Conaway to simply Lion King. 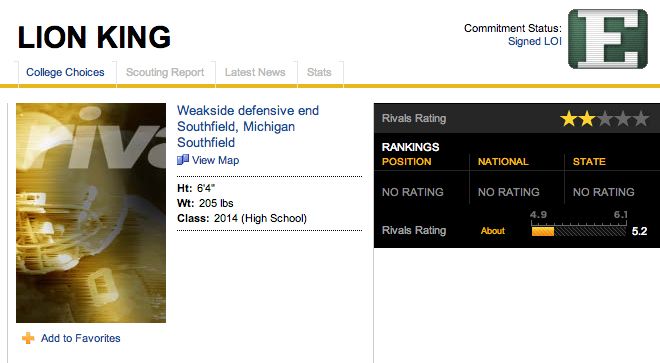 Eastern Michigan coach, convert him into a defensive back for the possibility of Megatron vs. Lion King.